Red lips are something I struggle with, with a lipstick so bright a colour, it's easy for any mistakes to show up and difficult to pick a colour that compliments your skin tone. Having brown hair, I've found that a dark red colour looks best on me. My favourite bargain red lipstick is from MUA at superdrug priced at £1! 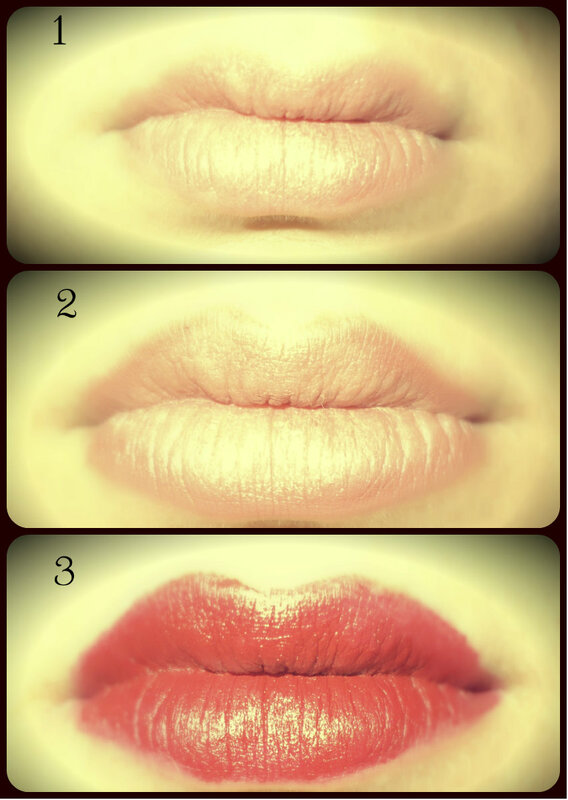 Here is my three step guide to easy red lips..
3: Using a lip brush, carefully fill in lips with lipstick, blot with tissue and re-apply if needed.